Dogs in Space is a 1986 Australian film set in the "little band scene" in Melbourne in 1978. It was directed by Richard Lowenstein and starred Michael Hutchence as Sam, the drug-addled frontman of the fictitious band from which the film takes its name. 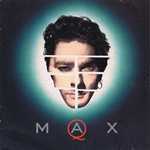 Max Q consisted of Hutchence (vocals) and Ollie Olsen (songwriting and production) who were accompanied by key members of the Melbourne post-punk scene, most of whom had previously collaborated with Olsen. The project followed on from Hutchence and Olsen's work on the film Dogs In Space, where they met. Michael Hutchence is the debut (and only) solo album by INXS frontman Michael Hutchence. It was released on 14 December 1999. Hutchence began work on what would become his posthumous solo album in 1995. Following his death in 1997, Black Grape producer Danny Saber and ex-Gang of Four guitarist Andy Gill completed the album. U2 singer, and Hutchence's friend, Bono recorded lyrics which were added to the track "Slide Away." Frankenstein Unbound is a 1990 horror movie based on Brian Aldiss' novel of the same name. This film was directed by Roger Corman, returning to the director's chair after a hiatus of almost twenty years. im around 21, in school and having a blast! I study chemistry and when I’m not bored with school im usually out surfing and loving my best celebrity Nicki Minaj! Grate site, there is so much information. Great JOB ! I like IT. My partner and I stumbled over here by a different page and thought I might check things out. I like what I see so now i’m following you. Look forward to going over your web page repeatedly.